RichardHenryLee is a Legacy Library. Legacy libraries are the personal libraries of famous readers, entered by LibraryThing members from the Legacy Libraries group. » Richard Henry Lee's catalog. » Richard Henry Lee's legacy profile. RichardHenryLee is also an author. » See Richard Henry Lee's author page. 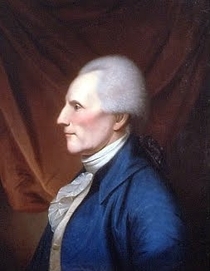 About meRichard Henry Lee (20 January 1732 - 19 June 1794), planter and Virginia statesman, the originator of the resolution for independence in the Continental Congress and a Signer of the Declaration of Independence. The son of Virginia politician/planter Thomas Lee and Hannah Ludwell Lee, the brother of Francis Lightfoot, Philip Ludwell, William and Arthur Lee and Hannah Lee Corbin, the nephew of Captain Henry Lee, and the cousin of Squire Richard Lee. Born at Stratford, Westmoreland County, Virginia, Lee was educated privately and at Wakefield Academy in England. From 1758-1775 he served in the House of Burgesses, and sat in the Continental Congress from 1774-79, 1784-85, and 1787. He also sat in the Virginia legislature in 1777, 1780, and 1785. He sat in the Virginia constitutional ratification convention in 1788 (opposing ratification), and was elected to the first U.S. Senate, serving from 1789 until 1792. Lee had four surviving children with his first wife, Anne Aylett (1738-1768) and five children by his second wife, Anne Gaskins Pinckard. Lee died at his Westmoreland County plantation Chantilly in 1794. About my libraryLee's library as cataloged here is taken from the probate inventory of his estate, taken 1 August 1794. It includes lists of broken sets as well as books bequeathed by Lee to his sons Cassius and Francis Lightfoot.